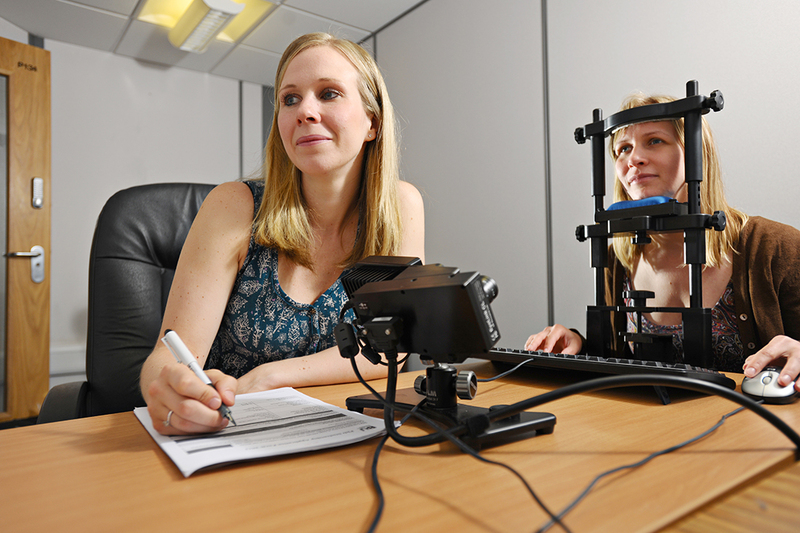 Dr Sarah Bate working with prosopagnosia patients to track eye movements and develop tools to help them with facial recognition. A feature on BU’s research into prosopagnosia was included in The Daily Telegraph. The article, focusing on 14–year–old Hannah Ray*, talks about what living with prosopagnosia is like, while the work undertaken by Bournemouth University researcher Dr Sarah Bate is also featured. *Hannah’s surname was changed for the Telegraph interview – the same surname has been used for this article. To read the article in full please visit The Telegraph news story.